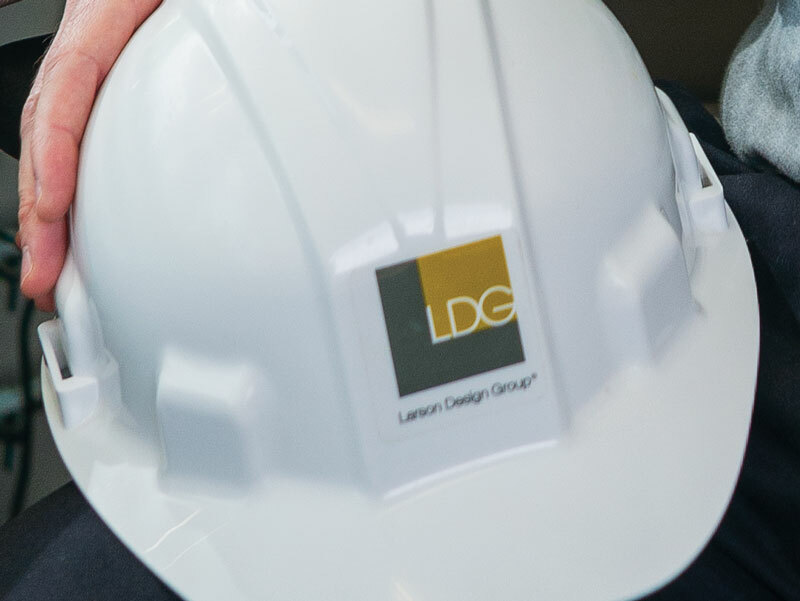 There’s a continual flow of contact between Penn College and Larson Design Group – including a stream of graduates earning positions at the thriving architecture/engineering/surveying firm. 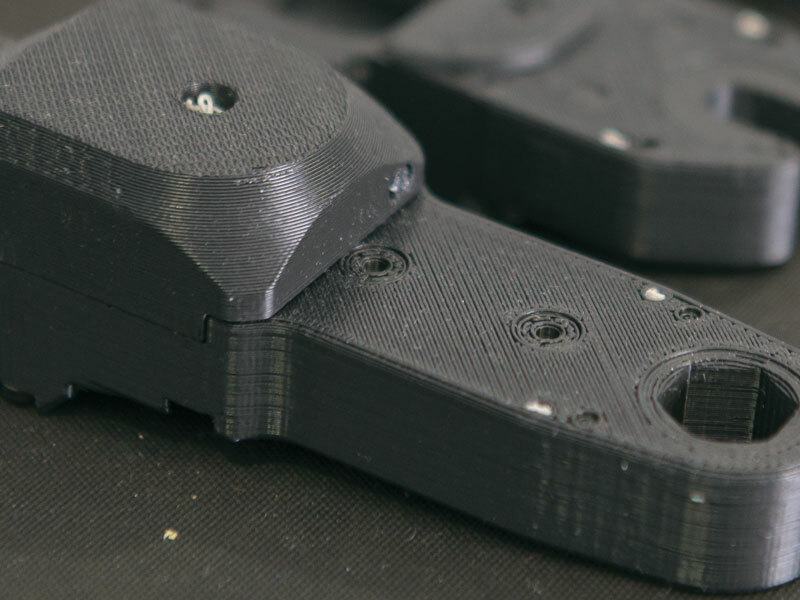 E-Tech Industries founder John Estep, ’74, credits his team – 70 percent of them graduates of Penn College or its predecessor – for his company’s made-in-the-USA success. 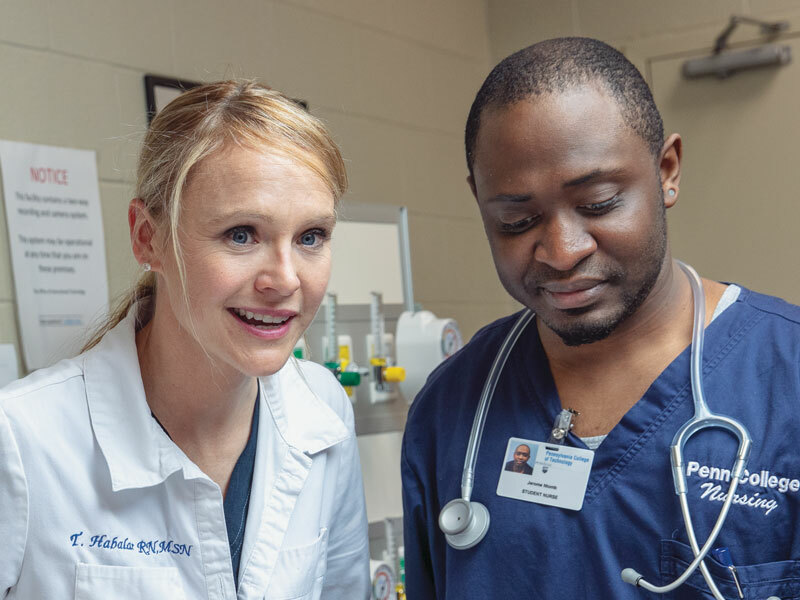 Personal health, passion and empathy are key for employees in health and human services professions to effectively care for others. Exercise nourishes mental health. 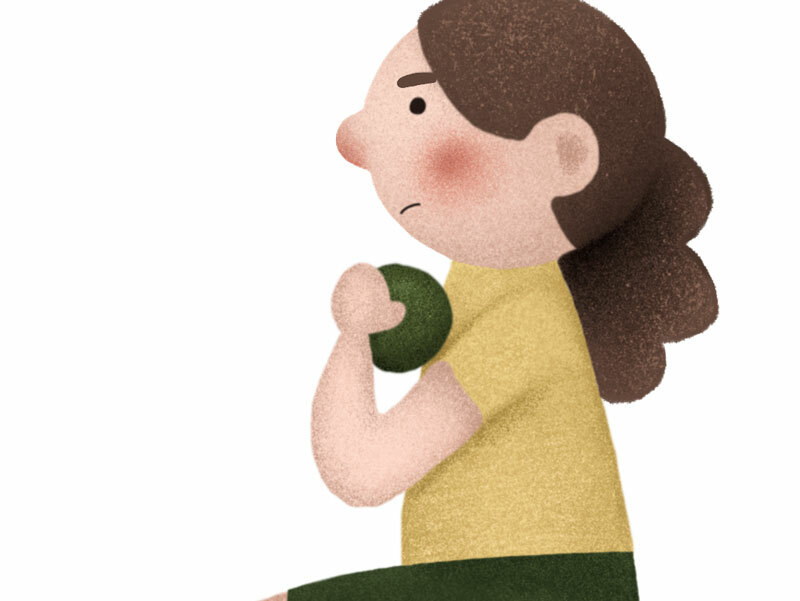 A mentorship program offered by the college’s Counseling Services Office and Fitness Center guides students who are struggling with anxiety and depression to become more active. As a psychologist working with college students and teaching basic communication skills, Linda Locher has been fascinated with digital conversation, how it may advance our understanding of each other, and how it may create unexpected obstacles and misunderstandings. 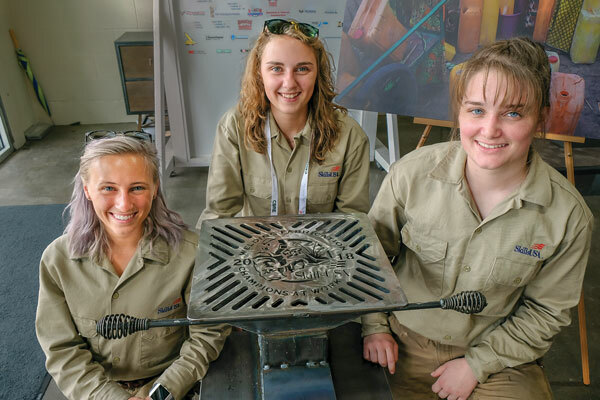 Three talented female welding students competed at the national level, but the result of their effort will endure much longer than the shine of any medal. Pennsylvania College of Technology graduates, from left, Nick Hannan, ’08; Ashley Hetrick, ’17; Brent Dressler, ’11; and Ruth Frontz, ’90, put their “degrees that work” to work for architecture/engineering/surveying firm Larson Design Group. The company and the college share a special relationship. 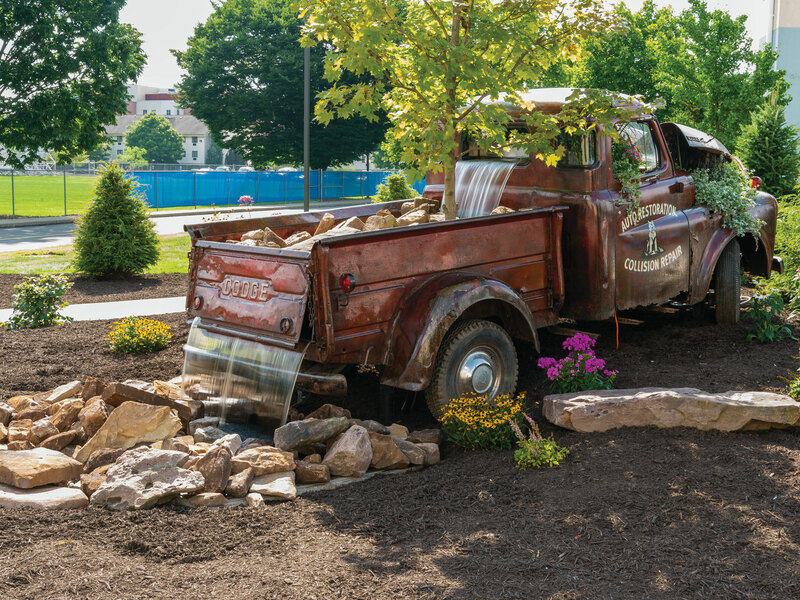 A 1949 Dodge forms the centerpiece of a pondless water feature outside College Avenue Labs, where Pennsylvania College of Technology’s collision repair and automotive restoration majors are housed. The piece was created by several departments within General Services and completed in August. A course of 2RC limestone simulates the old road that the vehicle supposedly was traveling as it approached a hill with a load of mountain stone. The engine died, the truck remained, and Mother Nature took possession, as evidenced by the tree growing through the bed. 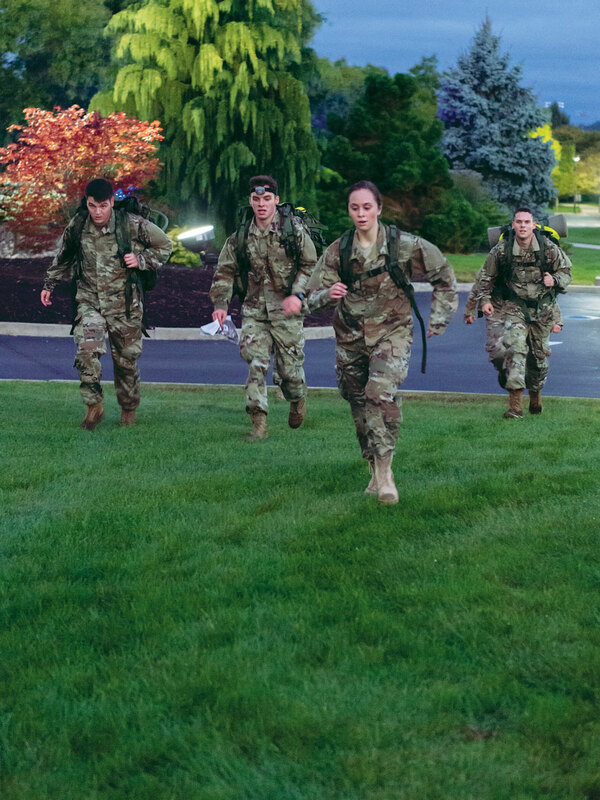 Army ROTC cadets run near the Student & Administrative Services Center during pre-dawn training. The cadets are part of Bald Eagle Battalion, headquartered at Lock Haven University. 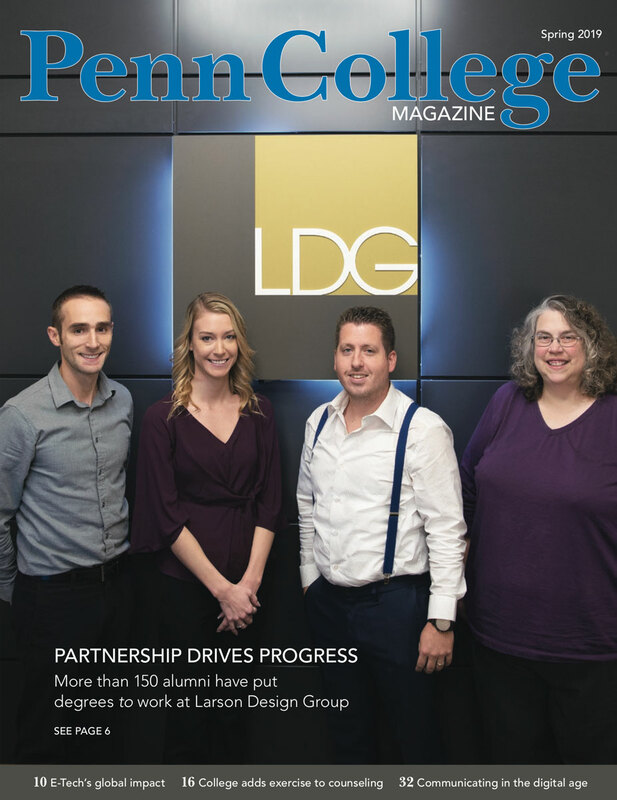 Penn College Magazine, the magazine of Pennsylvania College of Technology, is dedicated to sharing the educational development, goals and achievements of students, alumni, faculty and staff with one another and with the greater community. 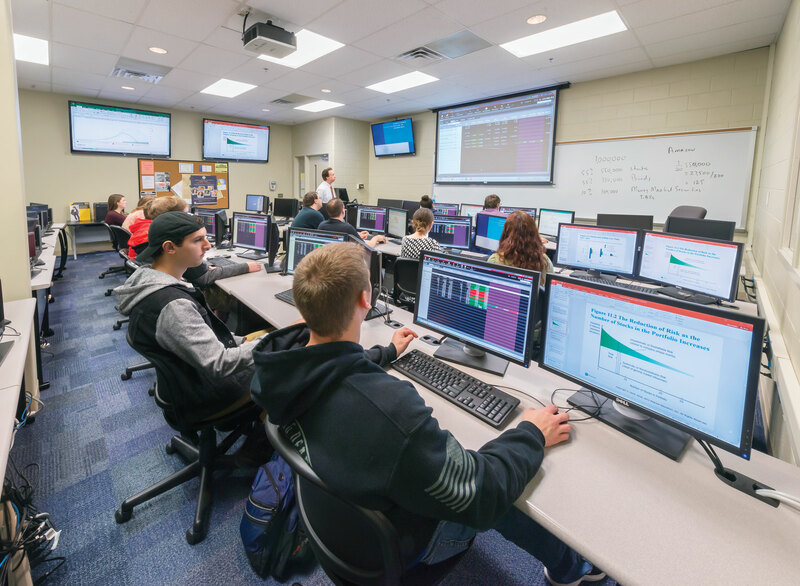 Visit PCToday to stay up-to-date with what’s happening at Pennsylvania College of Technology. Whether you’re looking for Penn College news or the latest activities and services, make PCToday part of your day – every day. Would you like to be added to our mailing list? Need to update your address? Prefer to receive new issues by email? Penn College Magazine, published by Public Relations & Marketing, considers for publication materials submitted by students, alumni, faculty, staff and other individuals. Penn College Magazine accepts letters to the editor, alumni notes and other information from its readers. We reserve the right to edit or refuse items for publication.